Alex Ford is CEO of Praetorian Digital, the leading digital media company in public safety and local government. Alex successfully built the company from the ground up, co-founding the company in 1999 and becoming its CEO in 2001. He has led the company through recapitalization and two market downturns to a clear market leadership position, driving 10 years of continuous profitability and growth. Andy serves as the Senior Account Manager for California Marketing Group (CMG), a leading business-to-business telemarketing firm that has provided superior audience development services to publishers since 1985. Prior to joining CMG in 2013, Andy served as the Director of Marketing for Summit Business Media, a B2B media services company that produced magazines, trade shows, conferences and educational materials for financial services professionals throughout the United States. 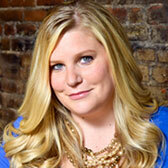 Anna is the consulting Vice President of Events, Partnerships and Audience Development for the LA Business Journal. Prior to her role at the Journal she was the Vice President of Marketing at Omnia Media and has held other senior roles in strategic partnerships, marketing, audience development and events at The Hollywood Reporter, iHeartRadio, and the Los Angeles Times. April serves as the Director of Data for Scranton Gillette Communications, a leading business-to-business communications company that produces 12 publications ranging from construction, infrastructure, water, healthcare, home furnishings and music. April is involved in the implementation and development of SGC/SGC Horizon’s consensus database and email deployment tools. She is responsible for maintaining over 1.5 million records, whether adding records, ‘cleaning house’ or mining data. Audrey is the Director of Audience Development for 5280 Magazine and its ancillary titles including 5280 Home, 5280 Traveler, and 5280 Health. She also oversees the marketing, distribution and fulfillment of 5280’s “The Cookbook”, a specialty “bookazine” publication now in its second printing. Audrey is responsible for executing and monitoring promotions as well as tracking circulation analytics for all print and digital audiences. EVENTS 101 and EVENT MARKETING MANIA! Carl is a media/event guru, SF Giants fan and part-time blogger. As head of Niche Media, Carl has created super niched-out events specifically for magazine publishers for over a decade. He has helped pave the way for an era of boutique events that connect specific audiences and provide great educational, friendly and super-fun environments! Niche Media has expanded to include many events, and content-packed blogs for both the magazine publishing and event markets. As EVP of Data & Media Services, Chris is responsible for developing new and diversified list monetization programs for Statlistics clients. He has authored over 30 articles in leading trade publications such as Chief Marketer Magazine and Target Marketing Magazine, and is a regular speaker at industry events and university lectures. He is also the Past President of the VT/NH Marketing Group and founder of www.universetrends.com, a business intelligence website for catalog marketers, magazine publishers and fundraising organizations. Delicia is the Audience Marketing Director for Grand View Media, a division of EBSCO Industries in Birmingham, AL. She began her career in the publishing industry in 1987 working in newspapers and transitioned to the magazine industry in 2000. She has been with Grand View Media since 2005. She and her team manage the circulation of seventeen B2B publications and three consumer publications. Greg joined Circulation Specialists in 1988 as its third employee and was appointed President in January 2000. He is an expert on audience marketing and management across a wide variety of titles including newsletters, national and regional consumer magazines, BPA-audited trade magazines, as well as digital content delivery. Greg works with clients on strategies for magazine launches, growth plans, digital editions, integrated databases and improving profitability. James has a wealth of experience in the implementation and management of various marketing automation platforms. His current expertise centers on Sitecore, Pardot, Eloqua, ExactTarget and Marketo, along with several alternative programs. In addition, James has more than nine years of experience with general marketing principles, not limited to brand development, social media, business intelligence and CRM. His extensive experience includes setup/security, segmentation, asset creation, scoring models, campaign/program management, training and reporting. Joyce is Vice President, Director of Audience Development & Research for WATT Global Media. She is responsible for attracting, retaining and engaging audience for WATT’s information products and events that serve the agribusiness and pet food manufacturing industries. She creates insights for strategic decisions, audience marketing, product marketing and proprietary research using knowledge from WATT’s database of audience behavior and demographics. As Vice President, Marketing Solutions for Global Market Share Leader at ON24, Lee evangelizes marketing performance best practices to clients and prospects globally. His 20+ years of sales and marketing leadership with startups to Fortune 100 companies around the world allows him to provide insightful and practical recommendations. Michael is an experienced digital marketer of 14 years who specializes in analytics and conversion rate optimization for Portent – a Seattle-based Internet marketing company. Michael began his career in direct marketing in 2002 in the healthcare and real estate verticals. 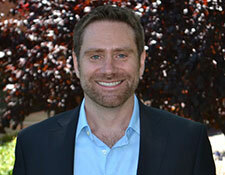 In 2007, he joined Portent’s growing team of marketers and subsequently founded the company’s analytics division. When he’s not eyeballs-deep in data, you can find him recording music in his home studio and cheering on Seattle Sounders FC. In 2002, in concert with three colleagues, Mike co-founded Next Steps Marketing, a San Francisco-based full service audience marketing services company. NSM works with media, nonprofit, and government agency clients to grow, engage, and keep their audiences. Mike remains interested in the continuing story of email as the number one online acquisition tool and why it is that email continues to be the most vibrant tool in the marketing toolkit. Praveena Khatri is the Vice President of Marketing at Swiftype, where she drives the vision and execution of the global marketing strategy. She plays a key role in helping potential customers understand the value that search can bring to their business. Google has already transformed search from a user perspective; Swiftype does it for thousands of businesses. 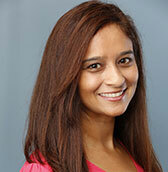 Praveena has over 15 years of marketing experience as well as a BA in Marketing Management and MBA from CSU East Bay. Sean has over 10 years of digital audience development experience, working for some of the largest tech media brands in the industry: TechCrunch, Engadget and IDG. But a desire to live the startup life brought Sean to AFAR Media, a multi-platform travel brand that encourages people to immerse themselves in richer, deeper, and more fulfilling travel experiences. Over the last two years AFAR has experienced continued growth and recognition on its digital properties despite the ever-growing travel media competitive landscape. Thea is a Principal of Next Steps Marketing, a digital and call-to-action audience marketing company based in San Francisco. For the past 15 years, Thea has worked with media, nonprofits and government to build programs that get audiences to come to events, sign up for email, and subscribe to publications. Thea has also turned to LinkedIn, Twitter and Facebook and helped craft communication strategies for companies with different voices for different social media.